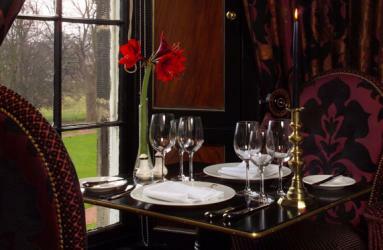 Harden's Guides have been compiling reviews of the best restaurants in Edinburgh since 1998. 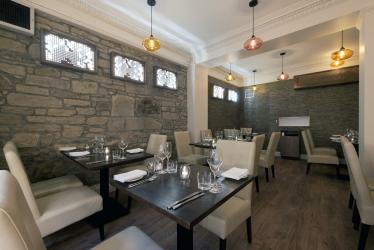 Hardens guides have spent 15 years compiling reviews of the best Edinburgh restaurants. 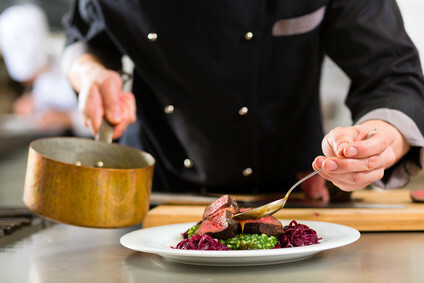 On Hardens.com you'll find details and reviews of 306 restaurants in Edinburgh and our unique survey based approach to rating and reviewing Edinburgh restaurants gives you the best insight into the top restaurants in every area and of every type of cuisine. Paul and Lisa Wedgwood’s contemporary dining room halfway down the Royal Mile (much of it below ground) achieves nothing but positive feedback for its warm welcome and modern Scottish cuisine. Any meal in the lavishly opulent setting of this Georgian, former private estate inside the city (the first in Scotland to grow rhubarb – hence the name) is “great for a special treat”. The food is “very good”, including breakfast and afternoon tea. “Like the difference between travelling in a Rolls Royce and an ordinary car” – “the highest of standards are maintained year after year” at Martin Wishart’s Leith HQ, which remains “one of the best restaurants in the UK”. “Imaginative, flavoursome dishes, are beautifully (but not ostentatiously) presented”, by “professional” staff who are “friendly and attentive, but never obtrusive”. “New furnishing and decoration is an improvement” in recent times to this contemporary dining room, near the waterfront. “So unusual” and “romantic”, this “very suave candlelit basement” in the Old Town serves “top-quality Italian charcuterie and cheese, excellent pasta, fish and meat dishes, and an outstanding wine and drinks selection (primarily, but not exclusively, Italian)”. Opened in 2010, it is part of the local Vittoria group. 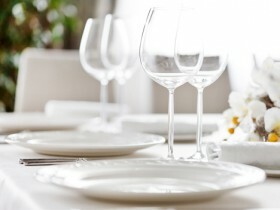 “An amazing experience”: individualistic chef Paul Kitching serves some “exquisite” (“perhaps a tad too complicated?”) cuisine and a notable wine selection, according to fans of his “cosy” Georgian townhouse, where he celebrates his tenth anniversary in 2019. The enigmatic title refers to the number of options on each of the five courses of his signature changing menu. Roy Brett’s “fun” haunt is set around a stylish oyster bar (£1 a pop during ‘oyster happy hour’ 5.30-6.30pm) in the Old Town. A “superb choice” of “spanking fresh fish and seafood is lovingly prepared” (“the roasted seafood platter was worth the flight alone: freshest produce carefully cooked, and a genuine thing of beauty”). “Superb, imaginative food as good as any in Edinburgh” (fish-centric and “ridiculously great value”) from à la carte as well as five-course and seven-course tasting options, makes this below-stairs Stockbridge spot one of the city’s top ‘casual-fine-dining’ choices; service will have you feeling “like a special guest”.